In August 2014, MA student Emily Maas joined the project as an intern. Emily has mainly been working on the HUGE database. 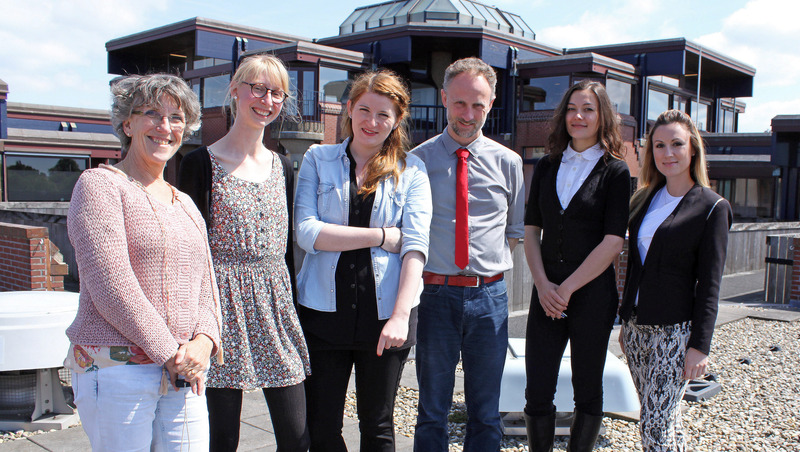 From September 2013, the members of the project, from left to right, are: Ingrid Tieken-Boon van Ostade, Inge Otto, Carmen Ebner, Robin Straaijer, Viktorija Kostadinova and Morana Lukac. 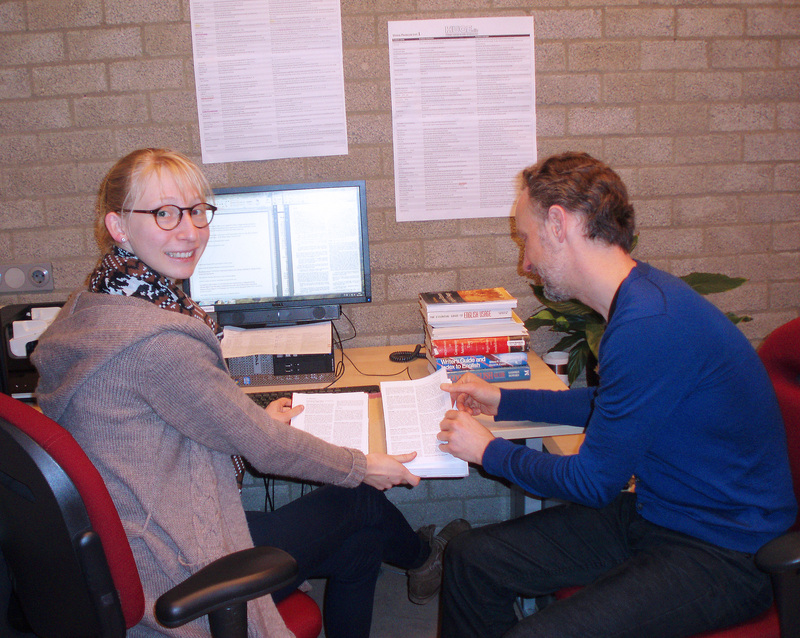 In February 2013, Inge Otto joined the project as an intern and in September she was hired as our new project assistent, replacing Cynthia Lange. Inge will primarily be working on the database of usage guides and usage problems that we are compiling. From 1 September 2012 onwards, the project has been at its full strength, for we have been joined by our three PhD candidates. From now on, you will be finding their posts on the blog as well. Ingrid Tieken-Boon van Ostade (director), Robin Straaijer (postdoc), Carmen Ebner (PhD candidate), Morana Lukac, (PhD candidate), Viktorija Kostadinova (PhD candidate) and Cynthia Lange (project assistant), at the Leiden University of Centre for Linguistics. The project started in September 2011 with professor Ingrid Tieken-Boon van Ostade, the project’s director, and dr. Robin Straaijer. The following year, February 2012, Cynthia Lange joined as project assistant. E-mail addresses for individual members can be found on the website of the Leiden University Centre for Linguistics or by following the links to the individual project members.